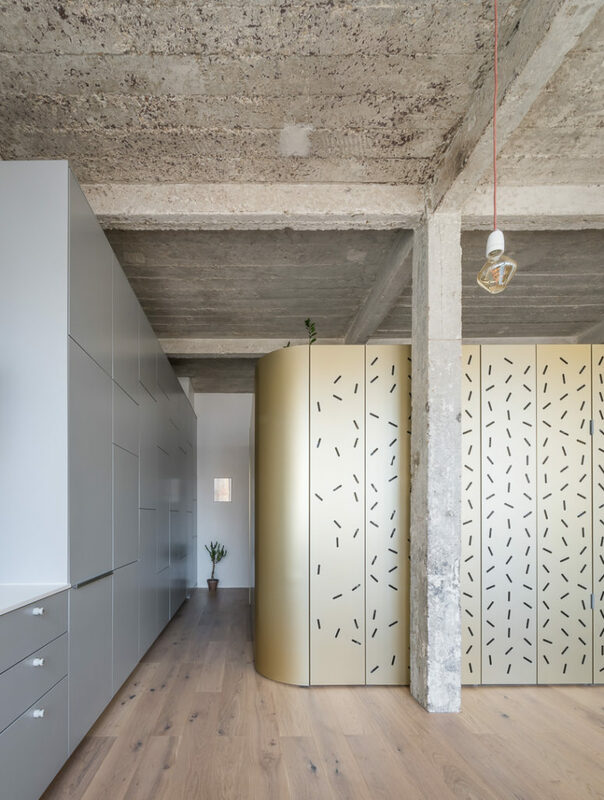 This Paris apartment is located inside a 1920s industrial building and was renovated and redesigned by SABO project. 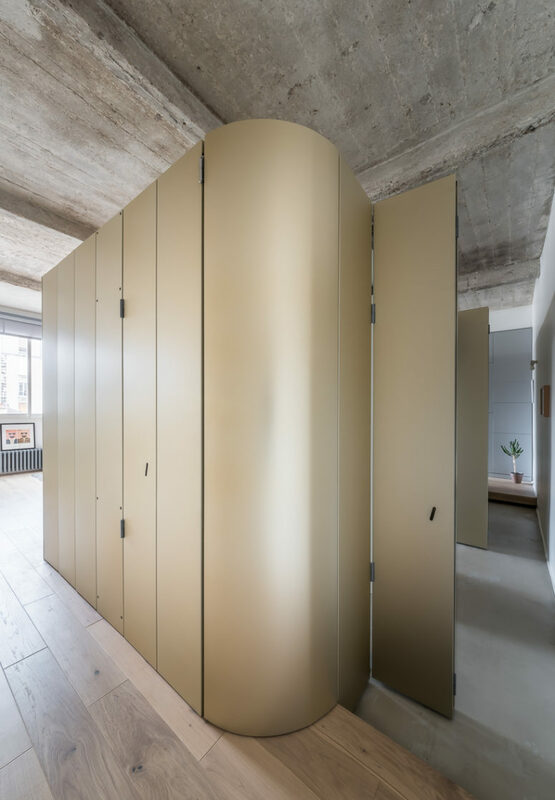 What’s so special about this space? 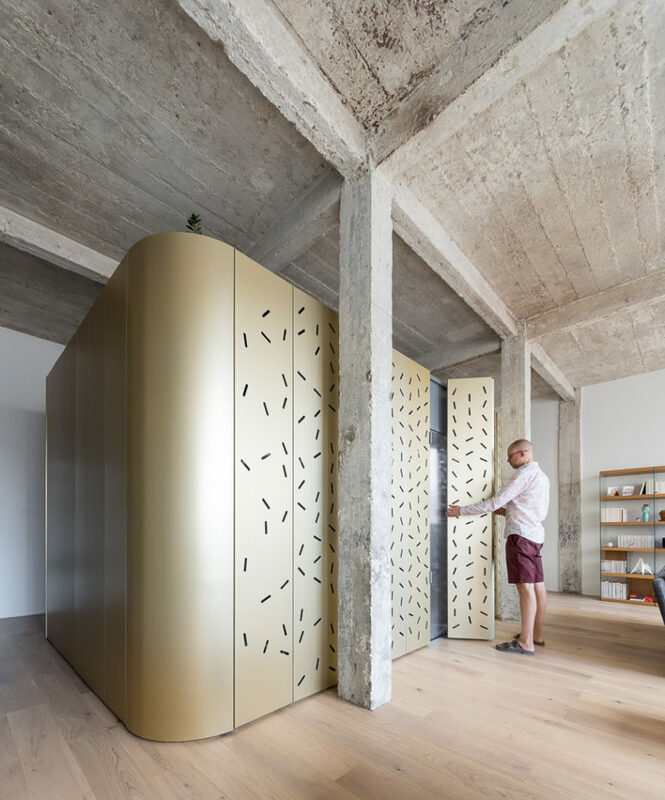 The designers decided to add of a central island, which defines the whole apartment and serves as a partition. 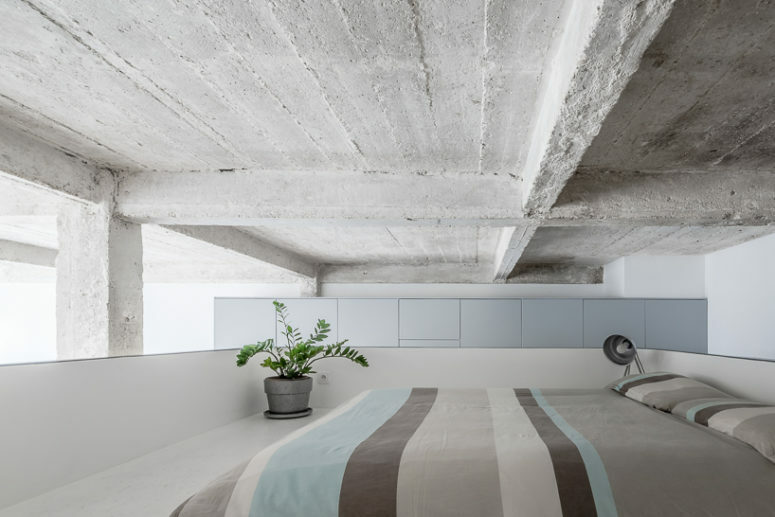 The apartment itself was stripped down to raw concrete, which reminds of the industrial heritage of the space. 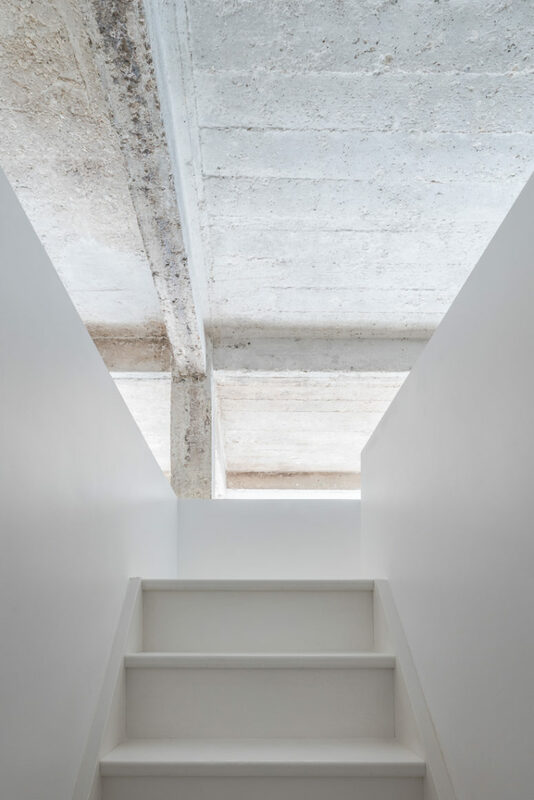 These raw concrete ceilings and walls were left like that to add a chic industrial feel to the spaces. 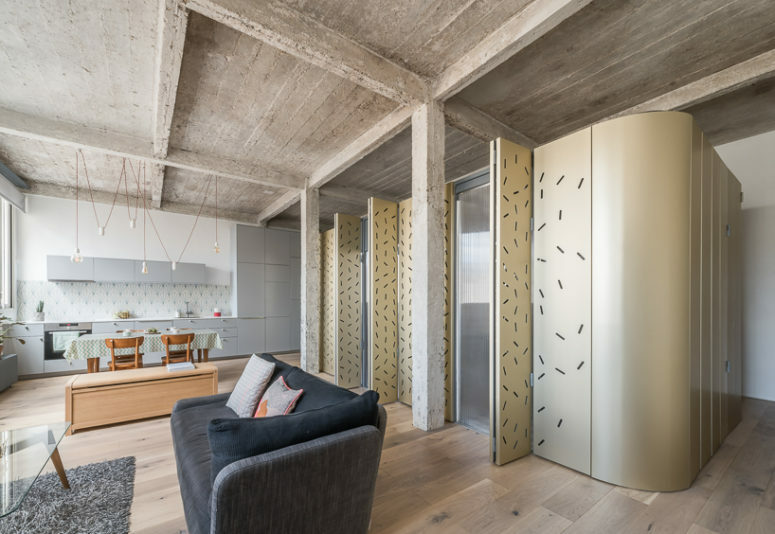 The central island serves as a buffer zone between the entrance, main living space, and dressing room, and it divides these areas very successfully. 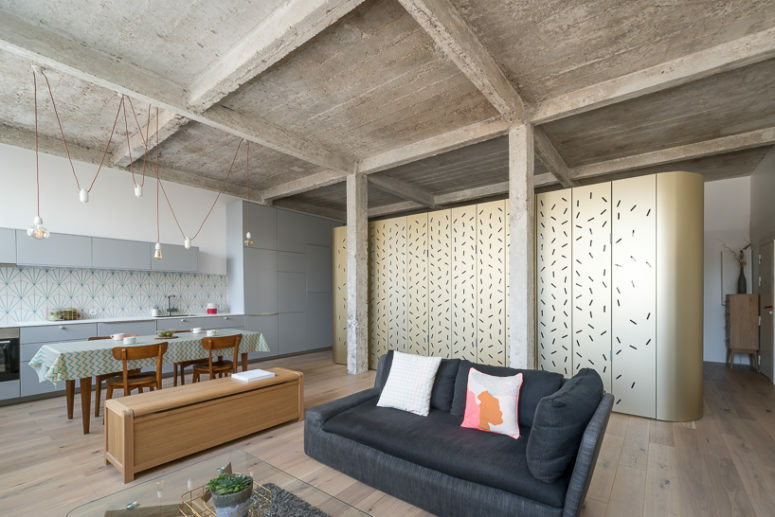 The kitchen and living room are united into one space with a concrete ceiling and pillars. 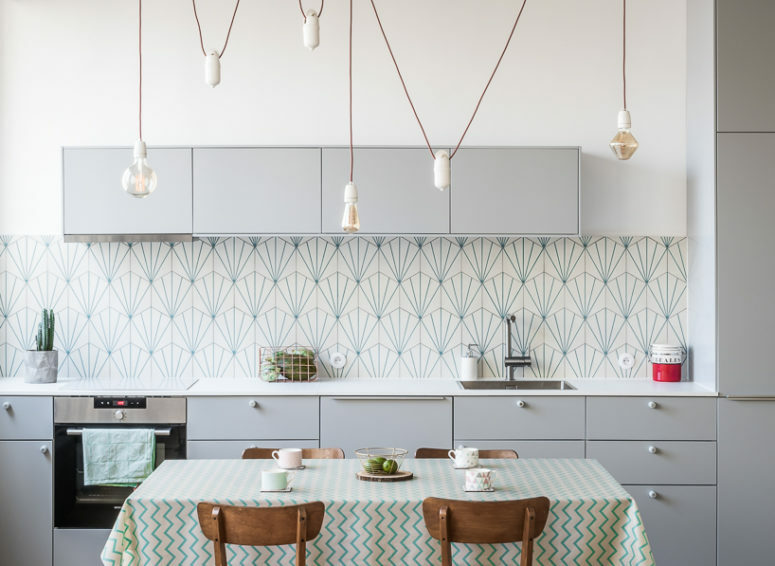 The kitchen features sleek grey cabinets, a geometric tile backsplash and some lamps hanging from the concrete ceiling on red cord. The dining space is separated from the living room with a long wooden console table. The living room is done with a black sofa, a cool glass coffee table and some storage furniture. 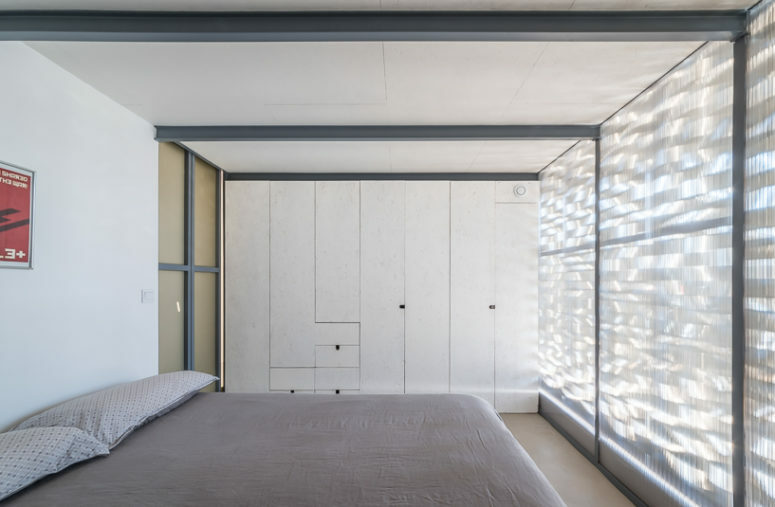 Inside the central island there’s a bedroom, it’s a minimalist space done in white, with sleek storage cabinets, a large bed and a wall covered with polycarbonate panels that bring much light in. 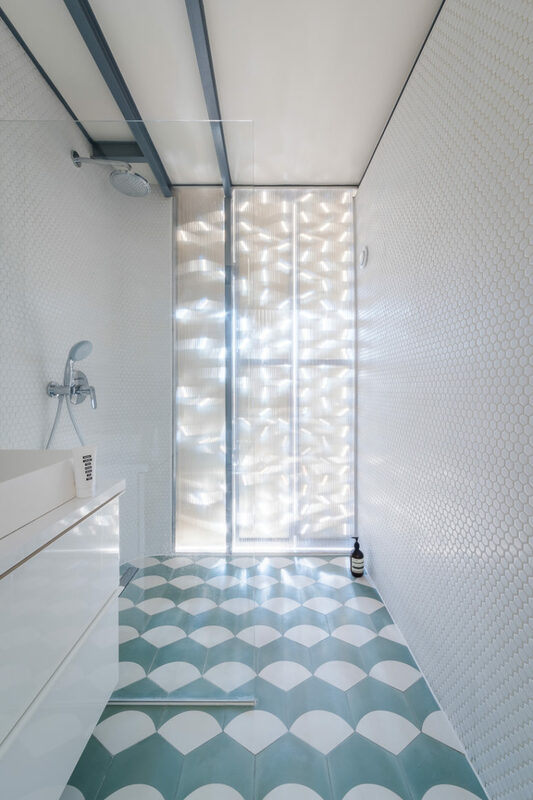 One more part of the cube is a bathroom clad with white penny tiles and green and white ones on the floor. 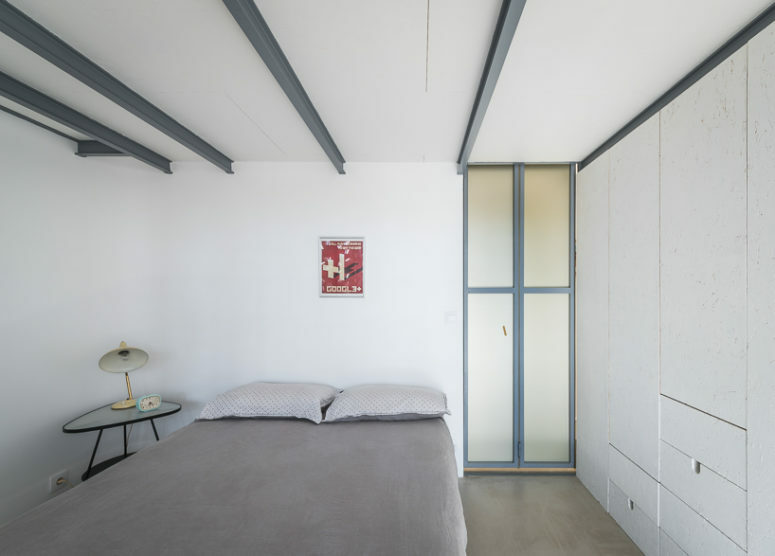 There’s one more bedroom on the island, it can be used for guests.